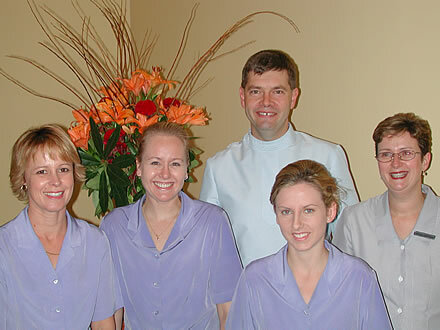 They bring with them over 20 years of experience in general dental practice. Together with Dr. Stuart Taylor and Dr Mary Ellen Wilkinson and their team of dedicated staff, they are committed to providing quality dentistry in a gentle caring environment. Our team of experienced, caring dentists can offer treatment and advice in all areas of dentistry, including the recent advances in cosmetic and reconstructive dentistry. All our dentists are members of the Australian Dental Association and they regularly attend professional development programs. Please feel free to ask about any areas of concern as we value good communication. We work on an appointment system , however , emergencies are catered for. Appointments can be made on 9830-7130 or in person. Please advise of the services you require so that adequate appointment time can be allowed. If you are unable to keep your appointment , please inform us as soon as possible , 24 hours notice would be appreciated. Our dentists do their best to adhere to appointment schedules , however, emergencies and unforseen circumstances can sometimes cause interruptions. With your help we will keep waiting times to a minimum. All our dentists are happy to provide quotations for treatment and if payment is causing difficulties please discuss this with us as soon as possible. Surrey Dental Care observes the highest standards in hygiene and disinfection. All dental handpieces , hand instruments and surgical equipment are steam sterilised between each patient. When this is not possible disposable items are used.